WaterNSW welcomes both the Interim Report from Mr Ken Matthews AO, and the response from NSW Minister for Regional Water, The Hon Niall Blair MLC, of in-principle support for the report’s recommendations. As a State-owned corporation, WaterNSW supports more transparent, simplified and effective water management rules, all of which is consistent with the thrust of Mr Matthews’ Interim Report. On behalf of its customers, WaterNSW can assure the public of NSW that the overwhelming majority of water users respect and follow the rules. There is a minority who have illegally taken water. Their actions have tarnished the reputations of all water users unfairly. WaterNSW is committed to delivering the highest quality of service and to being part of a system that contributes to, and is trusted by, the community. WaterNSW notes that Mr Matthews acknowledges our efforts to be a customer-centric organisation. He affirms in his report that WaterNSW is the “one-stop shop” for all customer and community interaction. Our collaborative approach is important in enabling customers to understand their obligations and how to meet them. 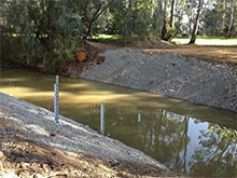 In relation to the material presented in Mr Matthews’ Interim Report on allegations relating to the Barwon Darling unregulated system, WaterNSW confirms that after extensive investigations, WaterNSW has taken six of the most serious allegations in relation to the Barwon-Darling system through to the point where prosecution briefs are currently before independent legal counsel.